Young people are most likely to experience injuries in the first year after entering the workforce. Young workers, with all their enthusiasm and determination to get the job done, often aren’t aware of the risks and hazards that come with working their first job. Young workers think differently than those who have been in the workforce for a number of years. They might not know the safest way to complete a task but try to do so in an effort to appear knowledgeable. It is the responsibility of the employer to ensure that all workers, regardless of age or experience, understand that they are encouraged to ask questions and speak up about safety. 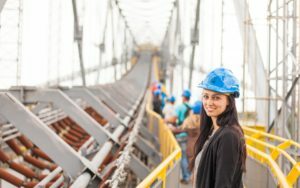 You can find more resources about preparing young people for the workforce from SAFE Workers of Tomorrow.